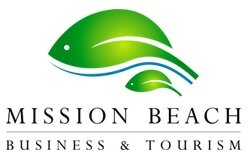 The Mission Beach Community loves to celebrate and they have a lot to celebrate! 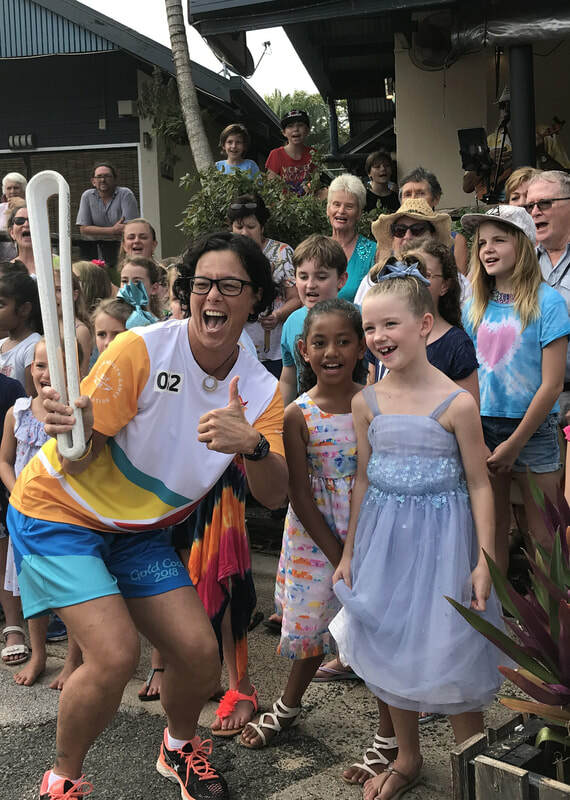 The song Mission Beach Naturally - A Magic Place' was written by the Mission Beach School kids and developed to welcome the Baton runners at the Mission Beach Queen's Baton Relay event on 17th March. The day has been hailed as a great success. Congratulations and thanks to all those who helped to make it such a great community event. 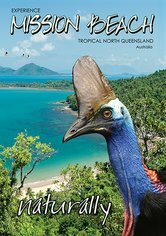 The Mission Beach Community uses every opportunity to promote their special place where two world heritage areas, the Wet Tropics and the Great Barrier Reef, meet. 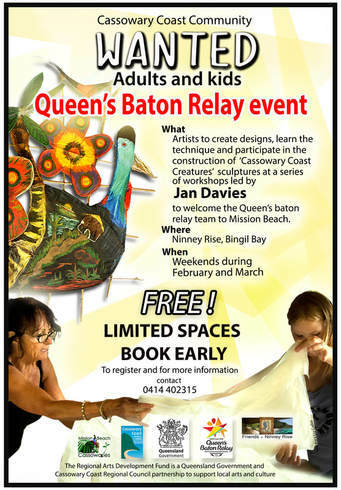 The song and another project creating colourful large sculptures of Cassowary Coast 'creatures' to line the path of the Queen's Baton runners, were made possible with a Cassowary Coast Regional Council RADF grant. 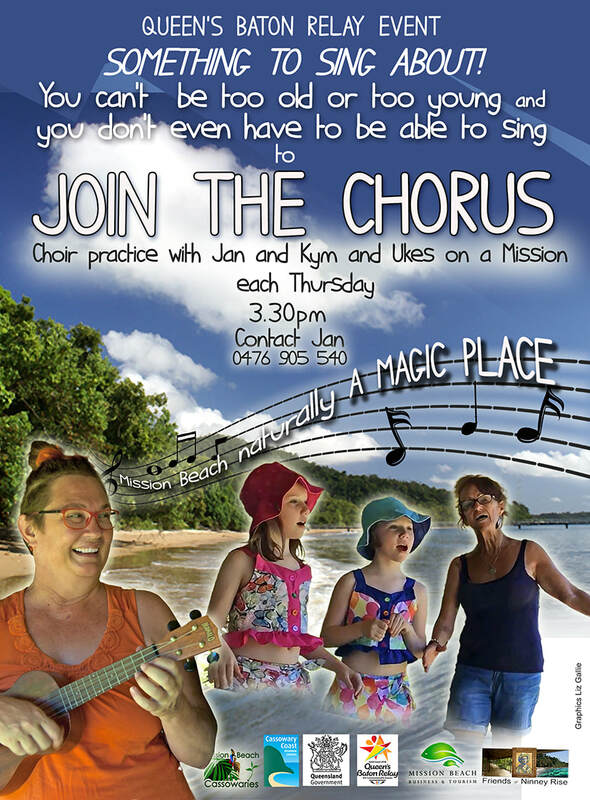 The sculptures and the song will be a spectacular and exciting addition to the Drumming of Cassowaries parade and stage performances at the Mission Beach Community Cassowary Festival held from 29th June to 1st July 2018. Keep up to date on the festival facebook page and for more details on the event. Enough talking! The photos and video below tell it all! !